SVG Partners announced today that Wells Fargo (NYSE: WFC), the largest lender in the U.S. commercial agriculture sector and a leader in environmental sustainability, awarded a $300,000 grant to THRIVE—a global accelerator program scaling and investing in technology companies with solutions targeted to the agriculture sector. The grant will be paid out over three years, and will support THRIVE’s efforts to help promising technologies and startups in the agriculture sector evolve from concept to market. This investment builds on Wells Fargo’s 2016 commitment to THRIVE, which included technical assistance and a $100,000 philanthropic contribution. Ten startups with technologies focused in soil health, food safety and traceability, decision making support, and robotics and infrastructure comprise this year’s THRIVE Accelerator program participants. Selected from 136 applicants, the 10 startups received a 10-week acceleration program that provided mentorship from top leaders across industries and direct access to the largest growers in Central California. “Being accepted into THRIVE’s Accelerator program is a validation that what you’re doing is important to the agriculture industry,” said Liron Brish, CEO of Farm Dog, an analytics company that helps growers be smarter with their pesticide use, increase their yield and promote sustainability. As a THRIVE startup, Brish was able to get input from key players across the agriculture value chain—growers, suppliers and venture capitalists—that enabled him to strengthen his business and expand his support network—an important benefit, given that AgTech is still a young field. 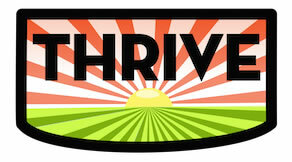 Since starting THRIVE, Farm Dog has enjoyed increased user growth and engagement. “We have doubled our acres under management, added 2,000 new fields and increased total field visits threefold—which is how we define user engagement,” said Brish. Additionally, the company is finalizing a research partnership agreement with the United States Department of Agriculture (USDA), deepening its integration with John Deere (NYSE: DE) and continuing to build out its IP—a proprietary database of 50,000 efficacy reviews across geographies, crop, and treatment types. Funding for the THRIVE Accelerator is part of Wells Fargo’s Clean Tech and Innovation Philanthropy commitment, which supports incubator, accelerator and university programs that foster innovation and support entrepreneurs in developing clean technology and agriculture technology solutions. Other THRIVE Accelerator startups include: Arable, Agrosmart, AgShift, EZ Lab, FarmWise, MicroGen Biotech, Tortuga AgTech, UAV-IQ and 3Bar Biologics. Founded in 2014 by SVG Partners, THRIVE is a vibrant AgTech venture and innovation platform connecting cutting-edge agtech and foodtech startups with technology and agriculture executives and investment and field trial opportunities. As a response to growing concern over food security, labor shortages, environmental stewardship, and the availability of energy, water, and land resources, THRIVE’s Open Innovation program, Seed Accelerator program, and venture and advisory services were created to help innovative technology companies disrupt, scale and lead in the global AgTech market. Wells Fargo & Company (NYSE: WFC) is a diversified, community-based financial services company with $2.0 trillion in assets. Wells Fargo’s vision is to satisfy our customers’ financial needs and help them succeed financially. Founded in 1852 and headquartered in San Francisco, Wells Fargo provides banking, insurance, investments, mortgage, and consumer and commercial finance through more than 8,500 locations, 13,000 ATMs, the internet (wellsfargo.com) and mobile banking, and has offices in 42 countries and territories to support customers who conduct business in the global economy. With approximately 273,000 team members, Wells Fargo serves one in three households in the United States. Wells Fargo & Company was ranked No. 25 on Fortune’s 2017 rankings of America’s largest corporations. The Chronicle of Philanthropy ranked Wells Fargo No. 3 on its most recent list of the top corporate cash philanthropists. In 2016, Wells Fargo donated $281.3 million to 14,900 nonprofits and Wells Fargo team members volunteered 1.73 million hours with 50,000 nonprofits. Wells Fargo’s corporate social responsibility efforts are focused on economic empowerment in underserved communities, environmental sustainability, and advancing diversity and social inclusion. News, insights, and perspectives from Wells Fargo are also available at Wells Fargo Stories.